Corenne Marie Designs > Join My Team! Do you have a passion for papercrafting? If you are a hobby crafter, a serious stampin’ addict, or maybe you would love to work full time creating with, demonstrating and selling Stampin’ Up Products you can sign up today, choose any products you would like from the catalogue to put in your starter kit! If you have a Wish list/Shopping List that has more than £99 worth of products on it then buying the starter kit and joining my team is the greatest deal you will find! During Sale-a-bration (January – March) you can join and get your choice of products from the catalogue up to the worth of £170 and pay only £99!! 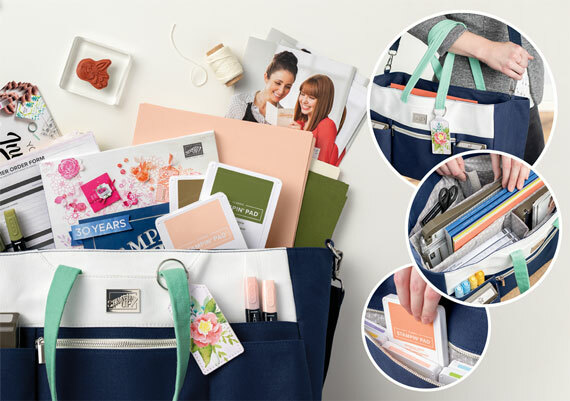 Choose the Starter Kit Worth £170 PLUS The Craft Tote worth £47 and only pay £125!! There really isnt a better deal! Have access to the new catalogues before the public? Join in the fun of meeting up with Demonstrators from across the country and seeing and being given FREE NEW products before release to the public at Onstage Events. Access to the most amazing supportive team, and advice when you need it. Join up with absolutely NO OBLIGATION – Seriously!! We have such a diverse group – all are welcomed! Incentive trips, earn fabulous trips around the world! Best bit is there is nothing to lose! If you decide it really isnt for you, you keep your kit and drop as a demonstrator with no penalties. Choose £170 worth of products and the gorgeous Craft tote for just £125! includes FREE Postage and Packaging!! and a FREE business Kit!! Click Join my team below to join the fun today!